Are You Targeting Useless Keywords? A Few Signs It's Time for Some Keyword Research. A REALTOR®’s website is supposed to generate traffic which can then be converted into leads. So what are keywords for anyway? They tell Google exactly what niche market or content you are most involved in. Targeting the right keywords across an entire website is the main way to improve ranking on a SERP (Search Engine Results Page) and become identified as a leader in your field. How do you know if your keywords are no longer working? What Search Terms Did You Originally Target? If you initially set up a REALTOR® website optimized for words like real estate or REALTOR®, then your original keywords may have been the problem. 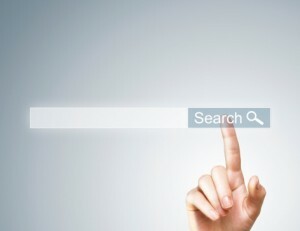 Do an online search for your keywords, preferably from a different computer than usual, because Google remembers your search history based on location and will show you tailored results that are not the true representation of your ranking. Who is ranking higher than you? If it’s a major competitor with a website that’s 10 years old with hundreds of pages of content dedicated to the same keyword as yours, then you chose a keyword that was too competitive. Don’t fear, but start modifying your site. Long-Tail Keywords have fewer searches done for them, but if you’re ranked first in google then you will be a very big fish in a small pond. Long tail keywords are longer, more specific sets of keywords that not as specific as normal ‘head’ keywords. “Real estate agent” is a head keyword whereas “Relocation specialist real estate agent” is a longtail keyword. If you discover that no one is contacting you, leaving comments on your REALTOR® website or reading, following, subscribing, re-tweeting, or Facebook-liking your pages or blog posts, you need to shift your strategy. If you produce content that answers the questions of your audience, they will read your posts. You must understand what your prospects are searching for and change your strategy in that direction. You should also start fostering engagement by monitoring social media portals (like Twitter hashtags) to follow discussions and add yourself to the comments. Be visible in Facebook groups or LinkedIn groups that align with your new keywords. The goal is for traffic leading to those groups to spill over onto your site. You can easily and affordably access the Google AdWords Keyword Planner to research what keywords you should choose. They can show you how many local searches are done for each keyword, as well as the amount of competition you’re going to face. Again, choosing lower competition keywords will rank you higher (albeit to a smaller audience), but when all is said and done, cornering the market in a small way is better than owning nothing of the lion’s share. Finally, it may not be your promoted search terms at all, but your content. If you’re not providing relevant information, keeping up with market and social media trends, or responding to comments and questions through your blog, these will affect your ranking as well. Once you’ve identified new keywords to target, set up a series of blog posts and pages that begin promoting them. Remember, it can take a while to establish those keywords in connection to your website so keep at it. Results can be expected within six months and can be monitored through analytics so you can watch your ranking rise on search engines. But if nothing happens in six months, start the whole process again.